Grieving the loss of your dog is never easy. Unfortunately, I have lost 5 dogs in my lifetime. I can remember each one like it was yesterday and each loss has been difficult, my dogs are my family. Everyone mourns their dog differently, but I think we can all agree that losing a pet is an emotional roller coaster. If your pet has recently crossed the rainbow bridge, please accept my sincere condolences. My heart goes out to you. Losing a pet is one of the most difficult things any pet parent will experience. The bond that we have with our pets is so great, that when we lose them, it is often difficult for family or friends to understand the grief you are going through. You may be surprised at the strength of your emotions and feel that you are the only one that has ever felt this way. This is normal and you will get through this. The following is a metaphor for the journey that many people take when they experience pet loss. We have always found it easier to explain the process of bereavement to owners who have recently experienced pet loss, through the whirlpool of grief. To let you know that although things are difficult at that moment, there is a light at the end of the tunnel and what you are feeling is normal. As we journey along the River of Life we will experience smooth and rough times. When we lose a family member or friend it’s as if we are falling uncontrollably. Our emotions are out of control and we feel lost. This is the Waterfall of Bereavement. For many people, a pet is not “just a dog” or “just a cat.” Pets are beloved members of the family and, when they die, you feel a significant, even traumatic loss. It is common to feel shock or numbness and you may find yourself in denial. This can explain the feeling that your loved one is about to return home or you may wonder what they are doing only to remember they have gone. The whirlpool of Grief is the gut-wrenching emotional turmoil that follows. Suffering a bereavement and going through grief can be exhausting. You may experience physical symptoms and suffer from sleep loss. This is often described as being on the rocks. It is important to remember these feelings will pass. Once the mourning has passed and you start to accept a life without your pet, reality will kick in and your life can start to regain some sense of normality. Yes, you will still feel an absence, but this should grow less with time. During this period, you might find it helpful to create a tribute or memorial to your pet. We are often told of the comfort that this brings and it is a great way to keep the memory of your pet alive. For some ideas, you may like to read our article Pet Memorial Ideas. In time you will stop mourning and accept your new reality. You will reorganize your routines and may consider opening your heart to another pet. There will be moments where there are setbacks, like birthdays and anniversaries. Consequently, this may stir up old emotions, but hopefully, this will become less painful and you will look back on the time you spent together with happiness. If there is one thing you take from this article, is that you will get through this. We hope that you have found this article on the stages we all go through when bereaved helpful. You can learn more about CPC Cares by visiting their website. P.S. If you have any thoughts on how to work through the grieving process of losing your dog, please leave a thoughtful comment below. 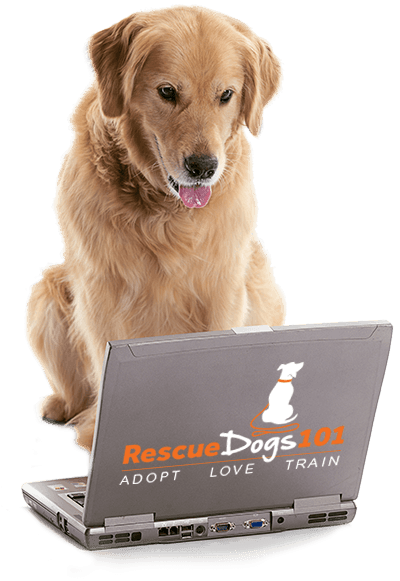 It can help others in our Rescue Dogs 101 Community to get through this tough time in their life. P.S.S. If you haven’t downloaded our free Dog Health Record printable yet do it NOW! Jon Baily is the marketing manager for CPC the UK’s leading pet crematorium. The articles on their blog aim to provide hints and tips on pet welfare, seasonal ideas and advice on pet loss and coping with bereavement.